A proof will be sent for approval to the email address provided. After approving the proof, rush processed orders will ship within a week; for normal orders please allow up to 3 weeks for delivery. I bought this as a gift for a friend. It turned out beautiful and the materials are good quality. This is a gift for my sister. I hope she will like it as much as I do. Very unique gift. The artistry and quality are superb and one of a kind. 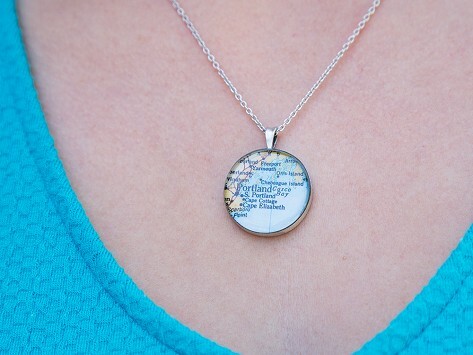 The map contains the nostalgia of our special place in a way that no other keepsake can.